I've been working on the next step with the OB1 jib. Now that it's stronger and really easy to use, I've had a think about the parallelogram system that jibs normally use and wondering how I can improve upon that using the Movi Pro's built in stabilisation. 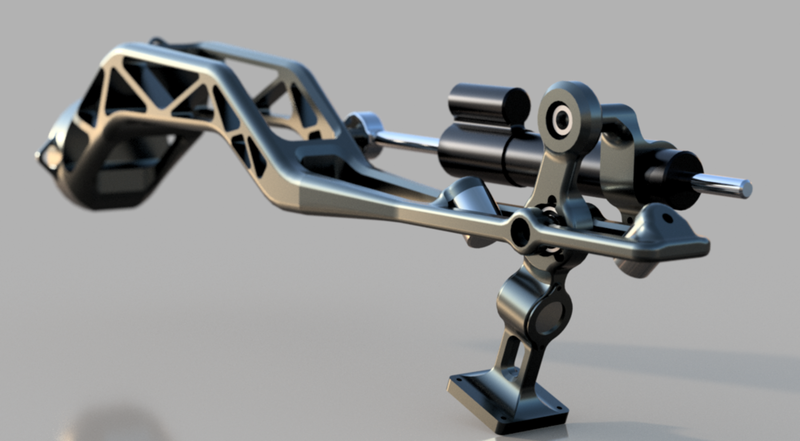 Here's what I've come up with and here are some renders of the next parts to be made. I think I'll call it The Gator, due to it's looking like a cartoon alligator because of the magnet stopper holders looking like it's nose.